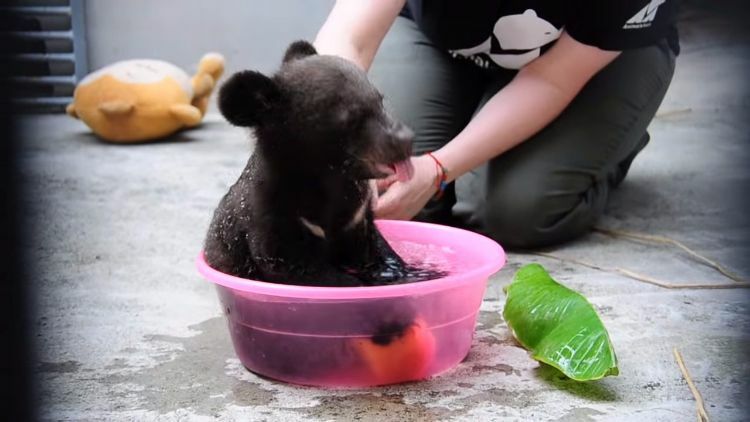 Adorable baby bear Smudge LOVES his bath time! 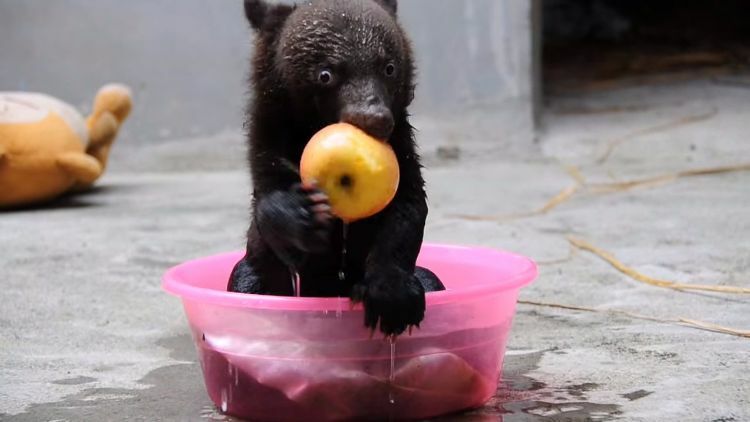 This four-month-old black bear cub is being cared for by a rescue and rehabilitation organization in China, and he seems to be having a great time in their care nibbling on apples, climbing around, receiving belly rubs, and his favorite activity, playing in the bath. Watch as he nibbles on apples in the bath. Bringing two favorite activities together is what Smudge would call a win! Smudge was originally born on a bear bile farm in Nanning, China. He was rescued when the owners of the farm turned their property over to a bear rescue. Smudge was just one of over 130 bears on the bile farm. All of the bile farm bears were placed with rescue organizations, such as Animal Asia, the organization caring for Smudge. Smudge’s life now includes daily activities designed to keep him strong, healthy, and entertained. He has a paddling pool available to him, as well as a climbing frame, comfy straw bedding, and stuffed teddy bears to play with. 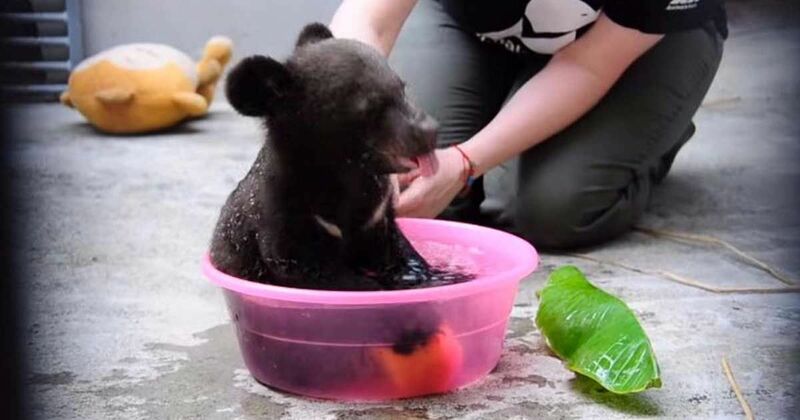 Animal Asia’s China Bear Rescue Center in Chengdu offers a place that allows bears to live out their remaining years in an environment is secure and stimulating. There are special care enclosures for elder bears, and bears with mobility challenges, and 11 bear house and 15 natural and semi-natural enclosures. They can currently house 250 bears. On-site facilities include a fully equipped veterinary hospital, a sheltered quarantine area, an administrative block, a public education center, and a bear kitchen. Smudge certainly has a unique look. Check him out in the video below, and SHARE if you’re a fan of bear conservation efforts.